The perfect dining table for family gatherings and dinner parties, the Bolton Dining Table is part of the popular Daytona collection by Signorini & Coco. 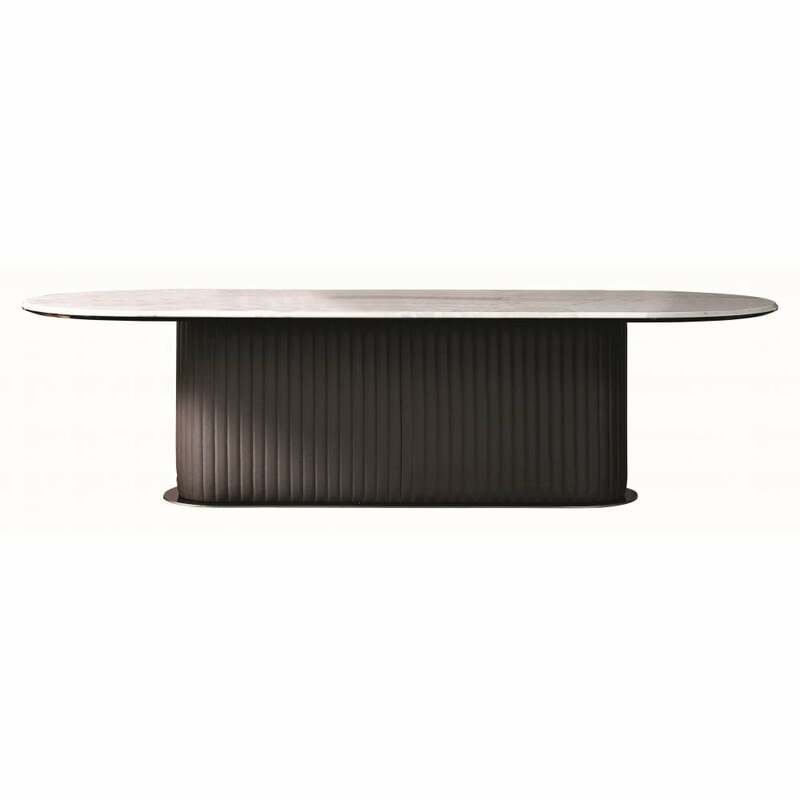 The curved wooden base is upholstered in a designer grosgrain leather with a titanium effect steel finish. The Bolton Dining Table comfortably fits up to eight people for special occasions. Shown here with a Calacatta marble top, this on-trend material was a favourite of the art deco period. Bolton brings it up to date by putting a contemporary stamp on the design. Pair with the Bacco chair and style with contemporary tableware for a modern look. Bolton works beautifully with 1930s hues of buff, blush and coffee. The table can be made in a variety of fabric and materials with a choice of top and base options. Bolton is available in 2 sizes: get in touch with our team for more information on the bespoke service.